Safavieh Lighting Cila Pendant - Yellow - 10" x 10" x 12.9-84.9"
This minimalist pendant will illuminate any modern bedroom, living room, or kitchen. 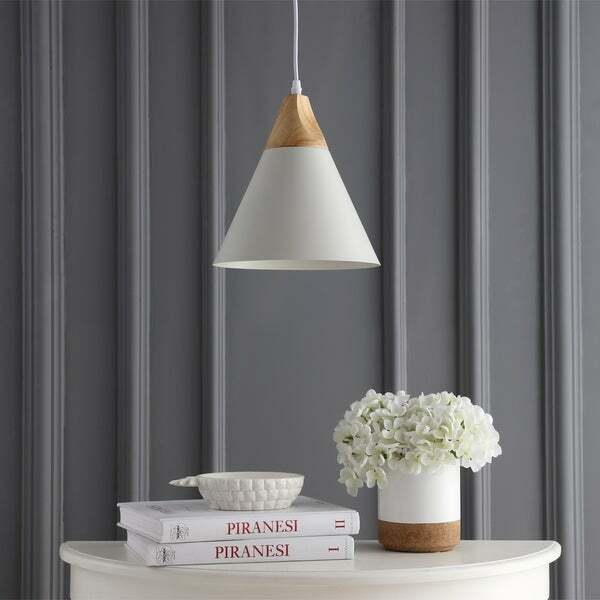 It'ssleek white shade, paired with a light brown wooden finish, adds a clean, contemporary finish to any décor. "Is the wood detail at the top of the pendant actual wood or it it metal painted to look like wood?" The wood content is MDF. Safavieh Lighting Cila Pendant - Orange - 10" x 10" x 12.9-84.9"